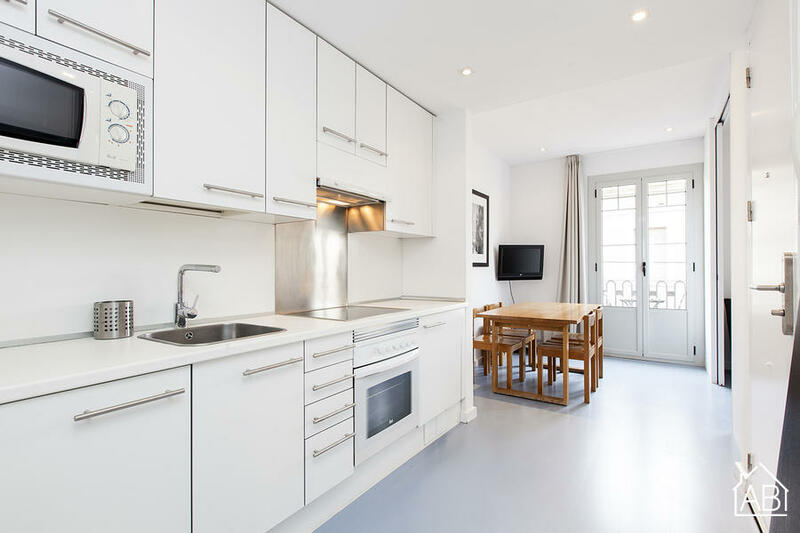 This modern, recently renovated apartment has a perfect location, just steps from the beach in Barcelona. The neighbourhood is full of things to see and do, including plenty of restaurants and bars, as well as a shopping centre and cinema in the nearby Port Vell. You can reach El Born and the Gothic Quarter on foot in less than 20 minutes and you there are excellent public transportation links from Barceloneta, making it easy for you to get where you want to go in the city. The apartment has a modern décor, sea views, and can accommodate up to three people, making it ideal for solo travellers, small families or couples. It comes complete with WiFi, an iron and a TV for your convenience, as well as heaters and air-conditioning, making it a good choice of home-from-home in Barcelona no matter the time of year. There is an Apartment Barcelona office located just 200m from the apartment and guests will also have access to our city centre office which is open 24 hours a day.